Summer Countdown – SLV GO! Having trouble finding new and exciting things to do in the San Luis Valley’s great outdoors this summer? SLV GO! has got you covered! We put together a list of some of our favorites for you to tackle this summer. Follow #slvgocountdown to countdown with us. Share your adventure and tag us @slvgo! Details: We’re kicking off the summer countdown with Stand Up Paddle (SUP) Boarding! Weekends on the Rio starts THIS SUNDAY 6/24 and Adam State Adventure Program (ASAP) will be providing free rentals and instruction. A great opportunity for any beginners out there. If you can’t make it, affordable boards are always available to rent at ASAP, just call 719-587-7813 to reserve in advance. 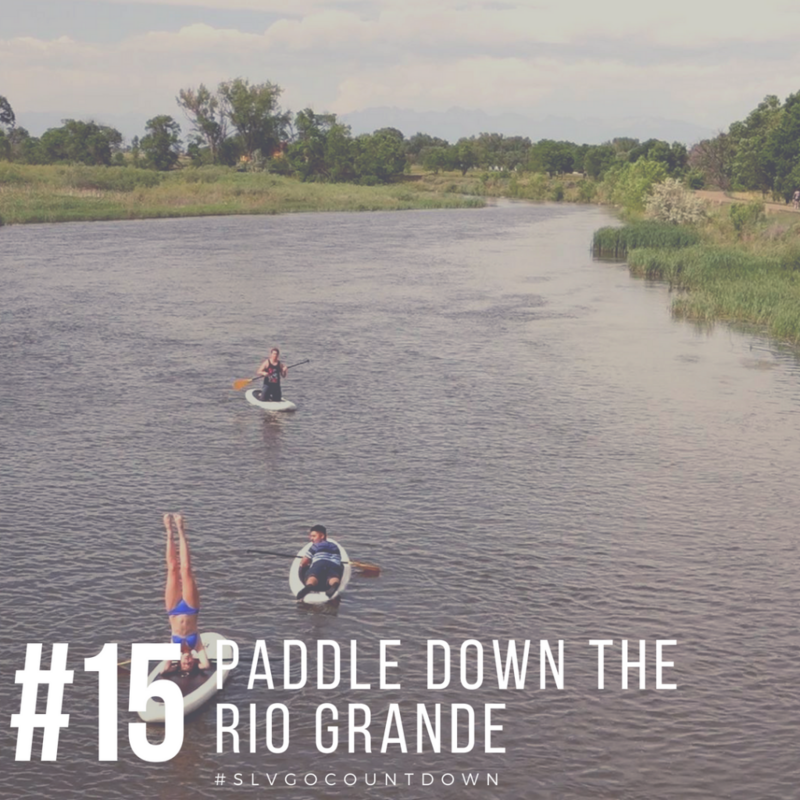 SUP boarding is a great way to enjoy the Rio Grande, exercise, and relax. Weekends on the Rio is offering SUP boarding every Sunday from 3-6pm till 7/29 near the pedestrian bridge between the Farm Park and Cole Park. Visit www.weekendsontherio.com/ to find out more! Keep in mind: Blanca Vista Park is a good spot to put your board in if the water is too low on the river. 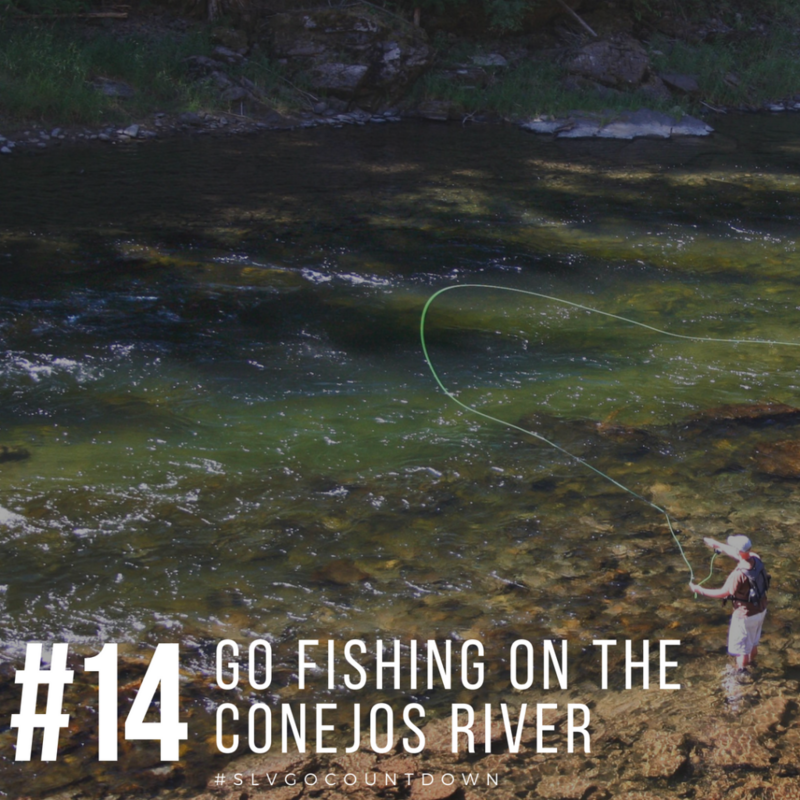 Details: Fish the Conejos River! 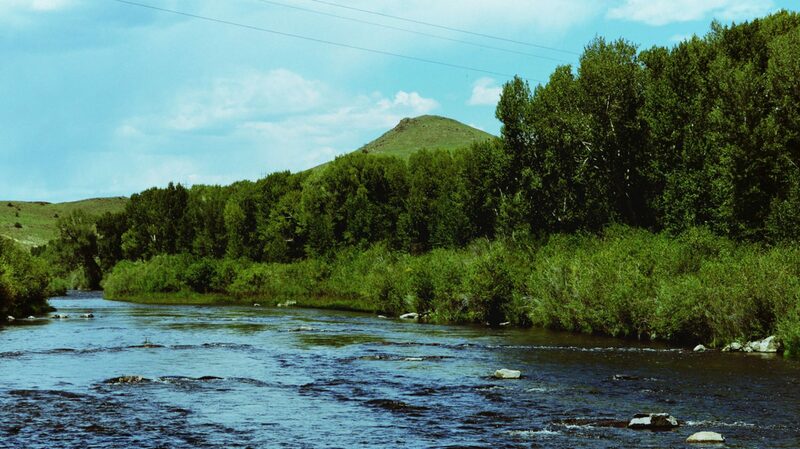 Located in the eastern portion of the San Juan Mountains, the Conejos River has fishing access for nearly 60 miles. For most of its course it is wide and fairly shallow with portions in the San Juan National Forest and the South San Juan Wilderness Area. Here you can find just about every type of trout and take in some beautiful scenery at the same time. Keep in mind there are plenty of trails and campsites located nearby. 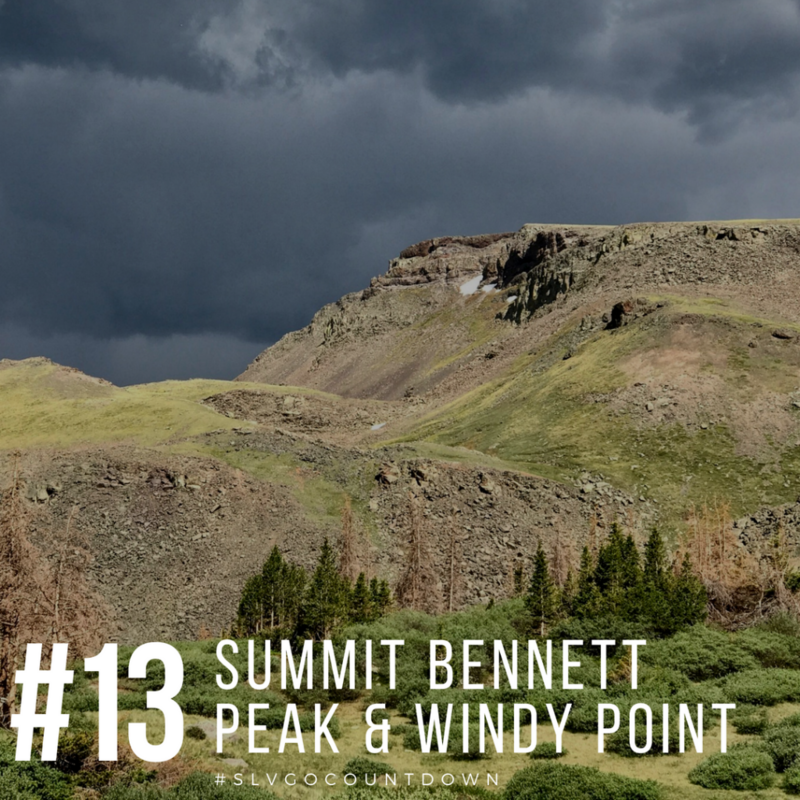 Details: Hike the Bennett Peak and Windy Point Loop! Bennett Peak is the highest point in Rio Grande County reaching 13,203 ft, with an elevation gain of 2,490 feet. The loop is about 6.4 miles long and is located in the San Juan Mountains with access from the western SLV towns to County Road 28. This peak is dome shaped, making the challenge quite moderate and the views completely worth it. Keep in mind: This trail is dog friendly. There are also several Forest Service campgrounds located in this part of the Rio Grande National Forest, make it into a weekend trip! Details: Take some time to give back to our beautiful valley. Volunteering on a trail project is great way to enjoy the great outdoors, meet like-minded people, and learn a new skill. It is one of the most rewarding ways to spend time outside. 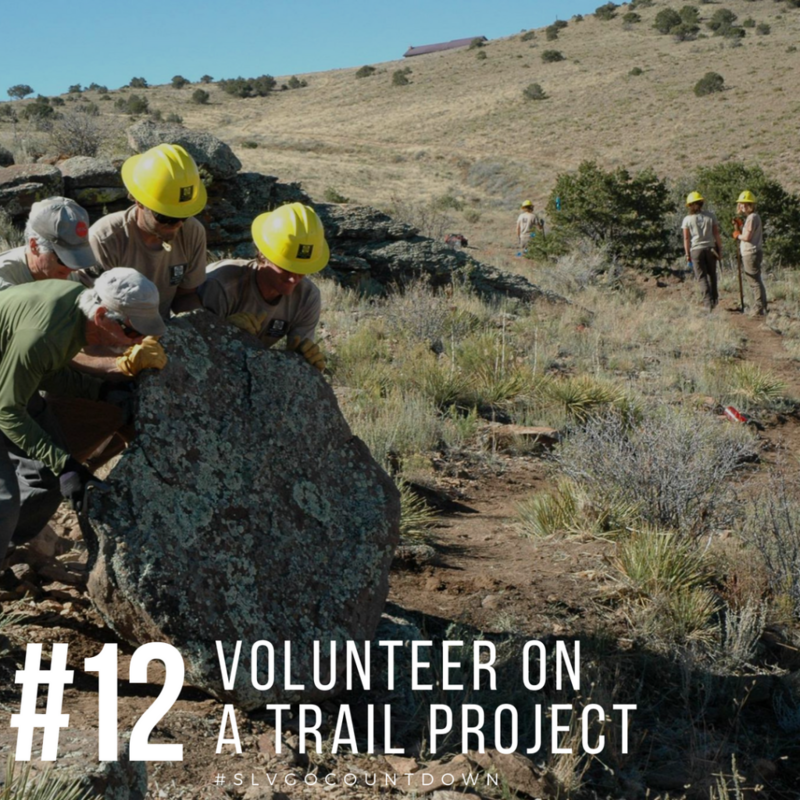 Volunteer trail projects in the San Luis Valley are offered by the Del Norte Trails Organization, Volunteers for Outdoor Colorado, Rocky Mountain Field Institute, and more. Check out their calendars or contact them to find out what opportunities are coming up. If you are unable to make it to any of the scheduled projects, take some time to pick up trash along your favorite trail in the valley. Keep in mind: Registration is now open for the Kit Carson Backcountry Volunteer Week September 10-15 offered by the Rocky Mountain Field Institute. Registration opens August 1st for the VOC National Public Lands Day Trail Construction @ Greenie Mountain in Rio Grande County. Also, Alamosa Parks and Recreation is seeking volunteers for general maintenance of Alamosa’s trail systems to take place in the coming months, contact jreesor@ci.alamosa.co.us. 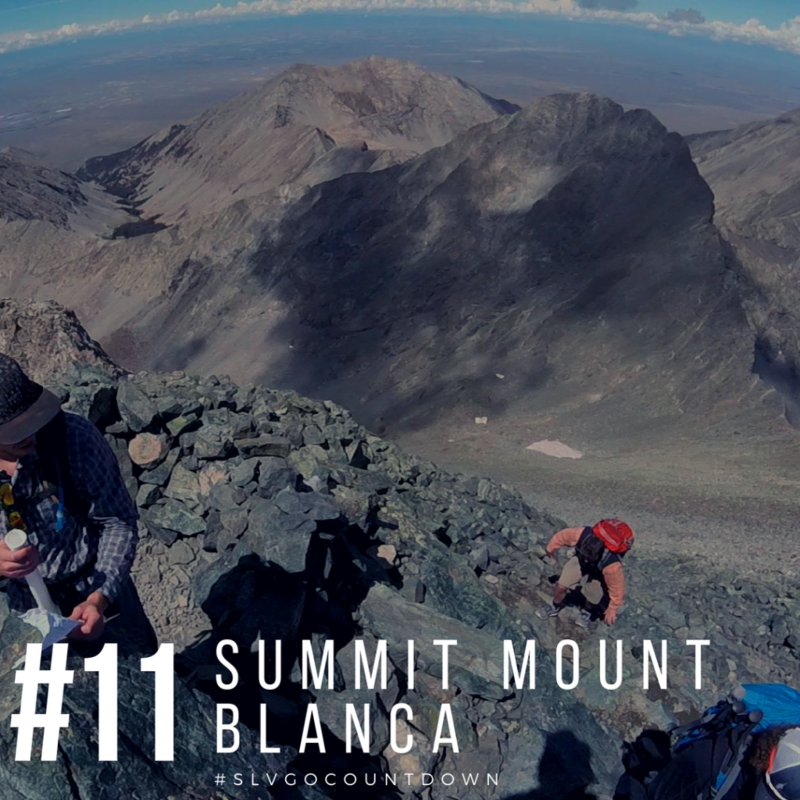 Details: Blanca Peak is a 19.2 mile out and back trail with an elevation gain of 6,640 feet reaching 14,345 feet above sea level, making it the 4th highest peak in Colorado. Located at the southern tip of Colorado’s Sangre de Cristo range near the town of Blanca, Blanca Peak is said to be one of the 4 sacred mountains to the Navajo peoples. Wehighly recommend splitting this trip into two full days. It is very rocky and windy at the top, but the views overlooking the San Luis Valley make it completely worth it. This hike is very challenging, so do your research and prepare for any possible obstacle before tackling this one. 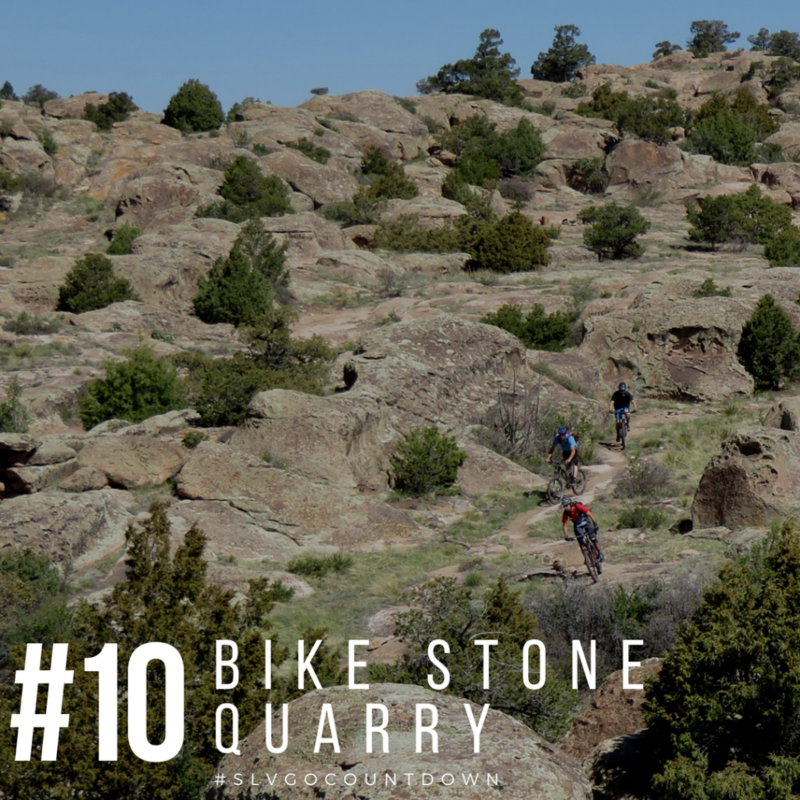 Details: Stone Quarry features over 10 miles of trails neighboring Del Norte and Monte Vista. This area features multiple trails with a variety of difficulty levels across canyon and high alpine desert lands. Elevation at Stone Quarry reaches 8,000 feet. Some parts offer an element of seclusion, while others open up giving panoramic views of the San Luis Valley. 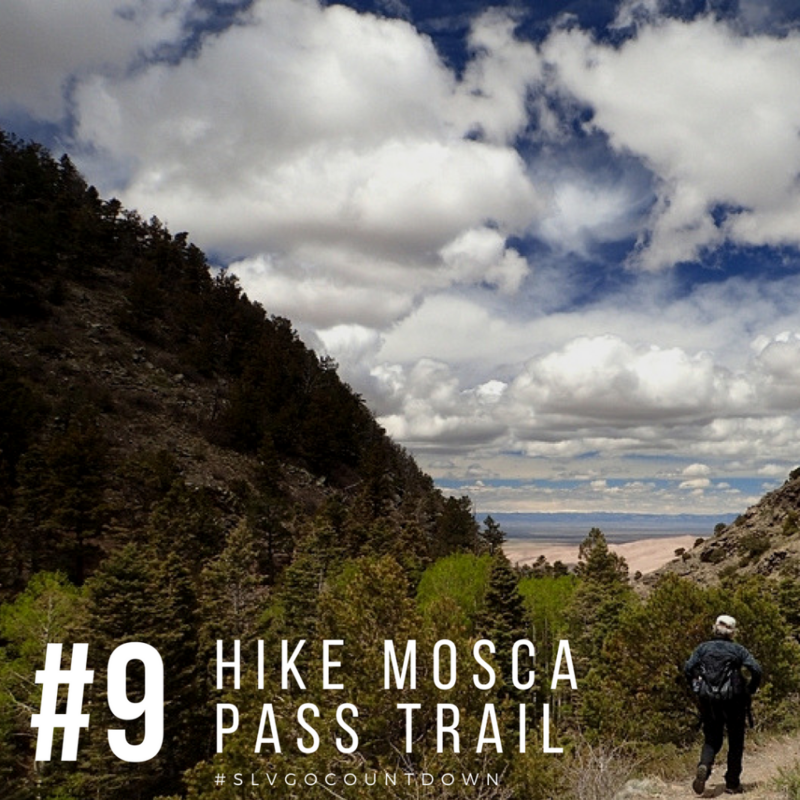 Details: The Mosca Pass Trail follows Mosca Creek up about 1,459 feet in elevation and was used by American Indians and early settlers to travel into the valley. Located ¼ mile past the Sand Dunes Visitor Center, this 7 mile out and back trail is a great way to spend a morning. This area is home to a variety of birds and other wildlife, along with wildflowers and scenic views. Keep in mind: This hike is family and dog friendly. Want to change up the scene? Take the nature loop on the way back! Find more info on the Great Sand Dunes National Park website. 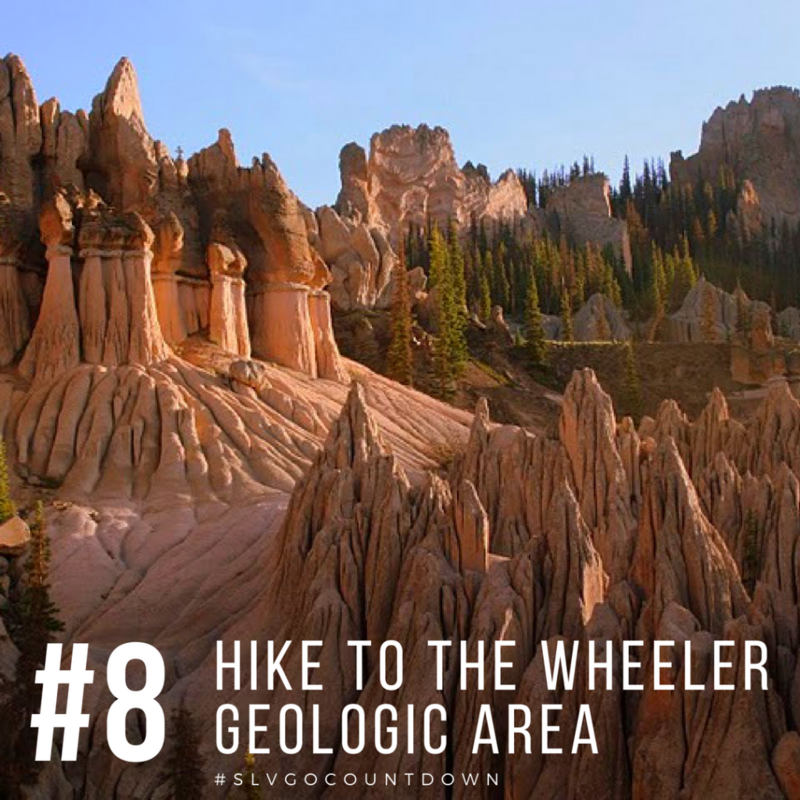 Details: Located near Creede, the Wheeler Geologic Area is a truly unique landscape resulting from a volcanic explosion more than 30 million years ago. The area is made up of spires and pinnacles deep in the La Garita Wilderness, a “you have to see it to believe it” type of place. It is accessible by a 7 mile hiking trail or a 14 mile 4WD road (high clearance vehicles recommended). Keep in mind: Given the required travel, we recommend making this one into a full day trip. There are many trails and a campsite nearby. 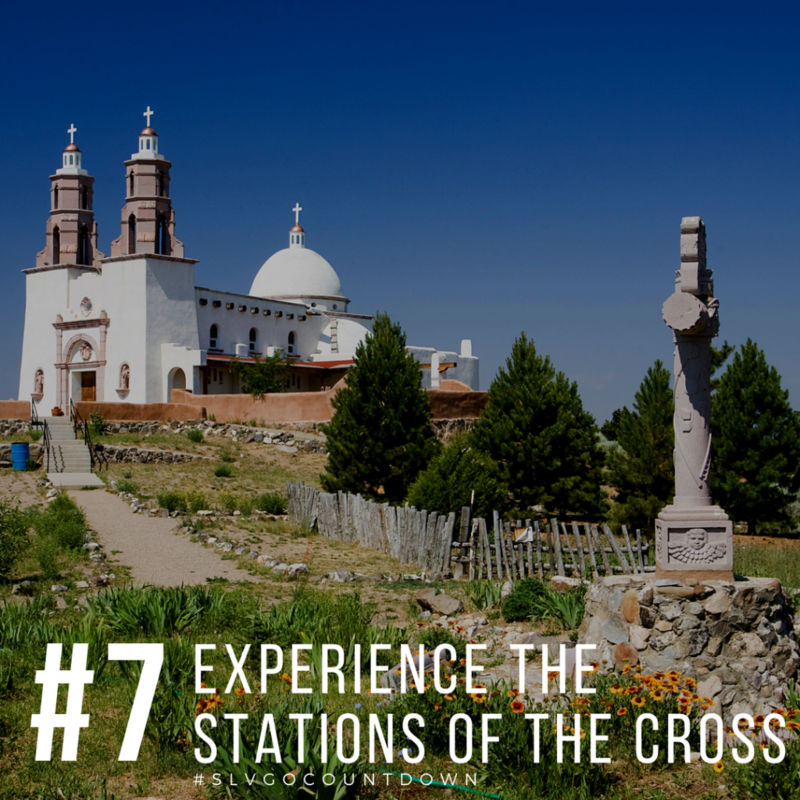 Details: Located in Colorado’s oldest town, San Luis, the Stations of the Cross Shrine is a truly emotional and cultural experience, whether you’re religious or not. A 3/4 mile dirt walking path leads you up to the Shrine on the mesa. A series of bronze statues and interpretive signage tell the story of the final hours of Christ’s life along the way. This is a beautiful way to get in touch with the spiritual traditions of the first settlers of the area, while getting outdoors at the same time. Details: The Great Sand Dunes National Park is no secret to the valley. When the creek is flowing it turns into our own little beach, well big beach. 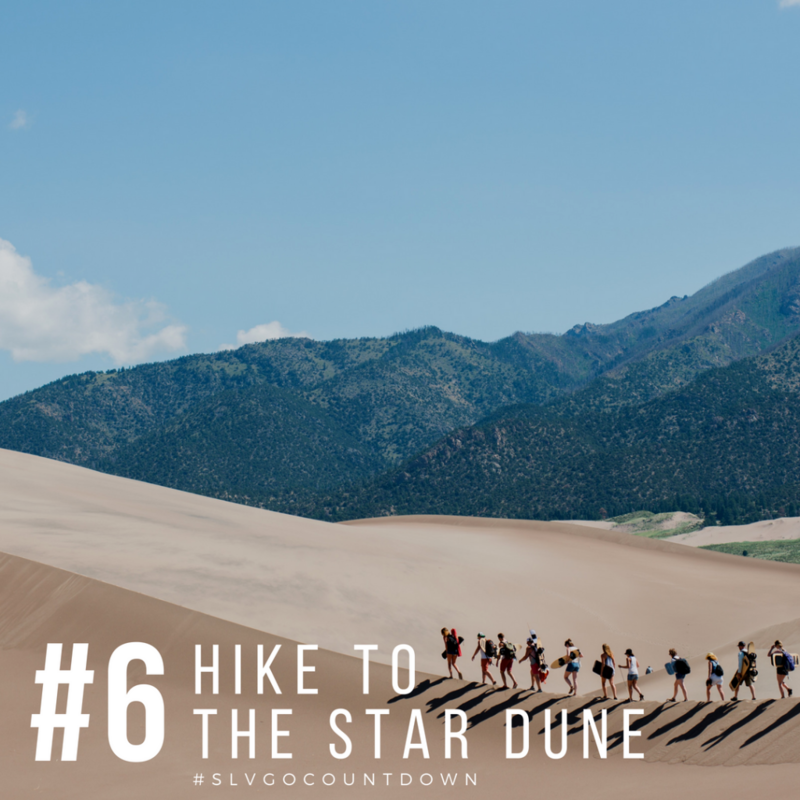 Five of the dunes are over 700 feet tall, with the Star Dune holding the record for the tallest dune in North America at 750 feet. You can reach its peak a number of ways, but the most common is by first hiking to the highest visible dune, known as the High Dune. The path from the dune floor north to the High Dune then west to the top of the Star Dune is about 5 miles. This turns into quite a climb towards the end, which can be exhausting in the sand, but the views at the top make it more than worth it. The dunes are constantly shifting, shifting the trails as well, making each trip unique. Keep in mind: Stop by Kristi Mountain Sports and rent a sandboard or sled to make the journey back down alot more fun. Don’t forget to prepare for an afternoon thunderstorm, during the summer in the valley they usually seem to make an appearance. Also, check out Zapata Falls and Hooper Hot Springs on your way back to town! Find more info here. Details: This single track, out and back trail outside of Del Norte gains about 2,500 feet in elevation throughout its 6.3 mile course (12.6 total). 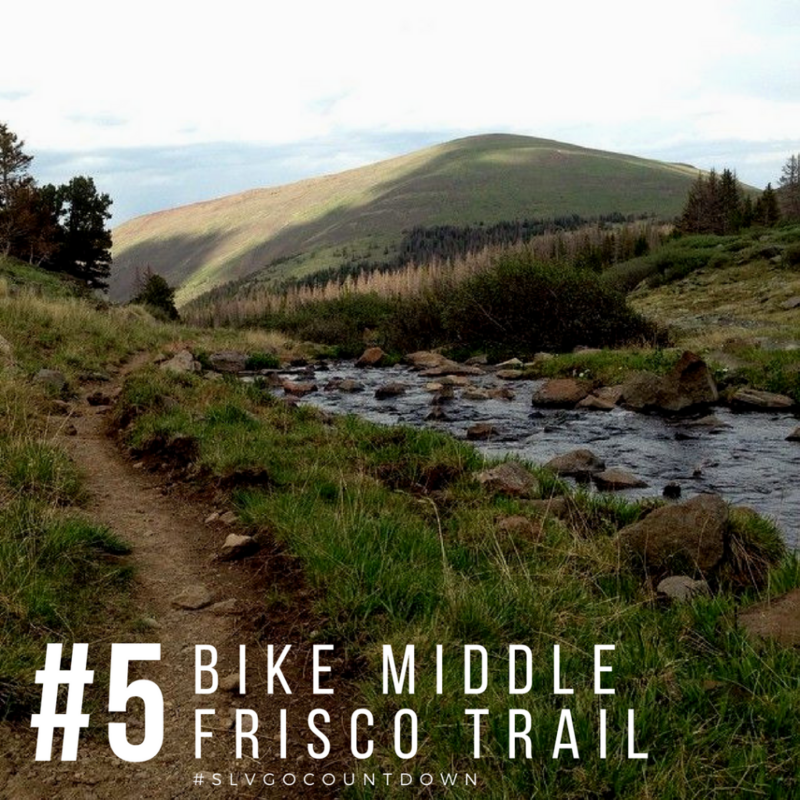 It features some aspen/pine forest riding and the San Francisco Lakes, which are located at an open subalpine meadow. Keep an eye out for wildlife and enjoy the climb up followed by a fun ride back down. Details: Go off grid for a weekend! 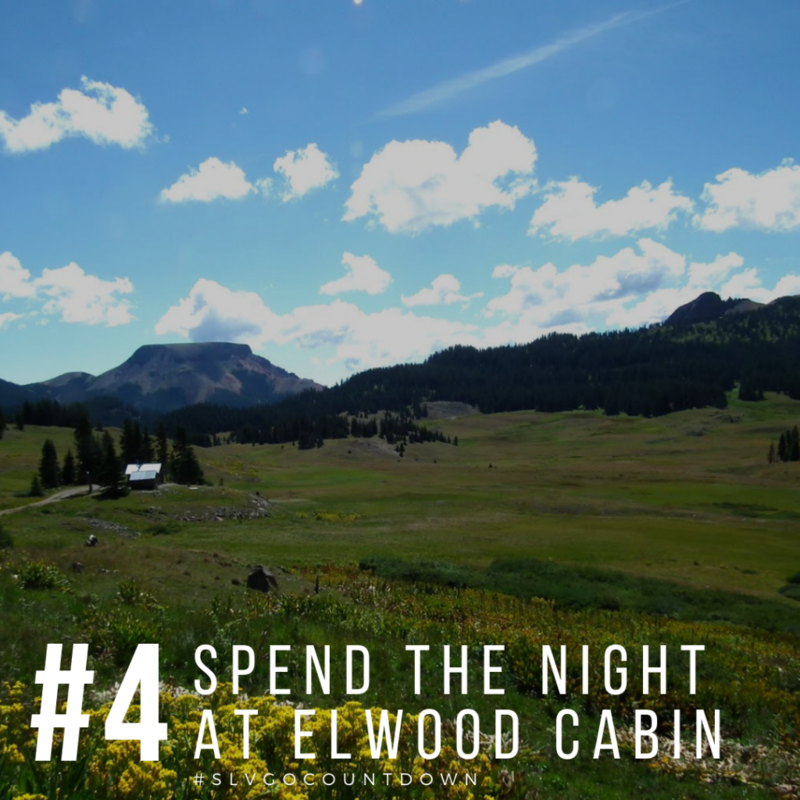 Located deep in the San Juan Wilderness near the ghost town of Summitville, Elwood Cabin is the best place to truly embrace the outdoors and the offgrid lifestyle. It sits at an elevation of 11,000 feet and was originally built as a line shack in 1911. Whether you just want to relax and take in all the beautiful scenery or get out and explore, this is the place to be. Go fishing at Iron Creek, Treasure Creek, or Platoro Reservoir. Go for a hike back in the South San Juan Wilderness and the adjacent San Juan National Forest. Go birding and say hello to the “locals” (elk, bears, deer, marmot, chipmunks, and more). Go on a scenic tour and check out several historic mining sites and nearby ghost town. Given the elevation, this area traditionally gets lots of snow, making it a great destination for winter recreation as well (if you can get there)! Details: This out and back trail neighbors Crestone, CO back in the Rio Grande National Forest and features a lake, an aspen forest, wildlife, and canyon views. 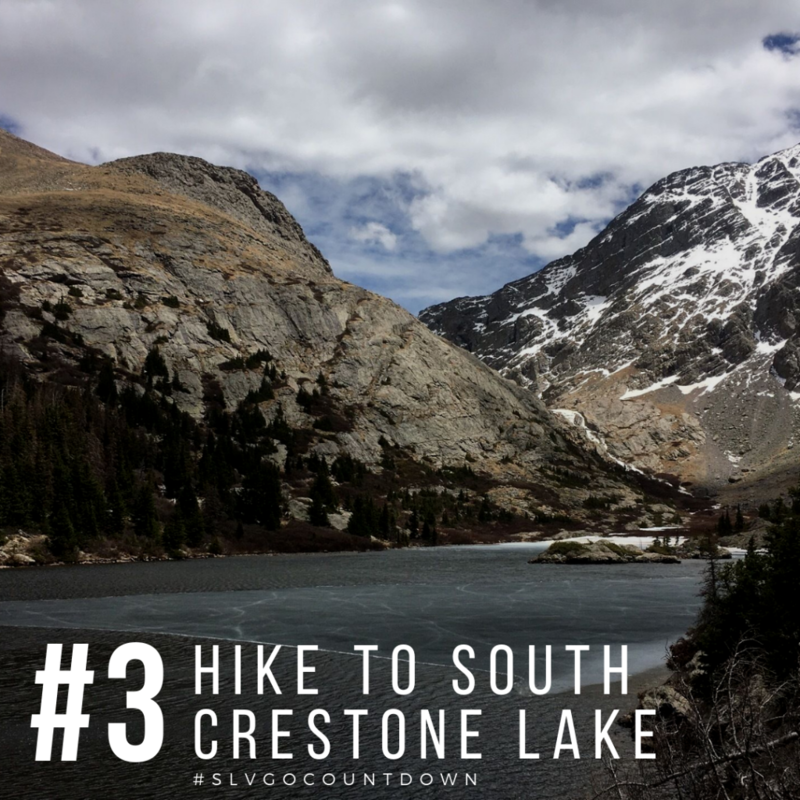 In just 4.5 miles this trail gains 2,887 feet in elevation as it travels up to South Crestone Lake. Hit the trail early or camp out at one of the sites along the route! Keep in mind: The trail is rated difficult, but it’s well worth the challenge. Details: Bachelor Loop is a 17-mile drive back in Creede’s historic mining district and ghost towns. The loop takes you 2,000-feet above Creede where many mines used to thrive during the Silver Boom of the 1890’s. You can even take an underground tour at Last Chance Mine! The changing fall colors make now the best time of year to enjoy this hour long drive. 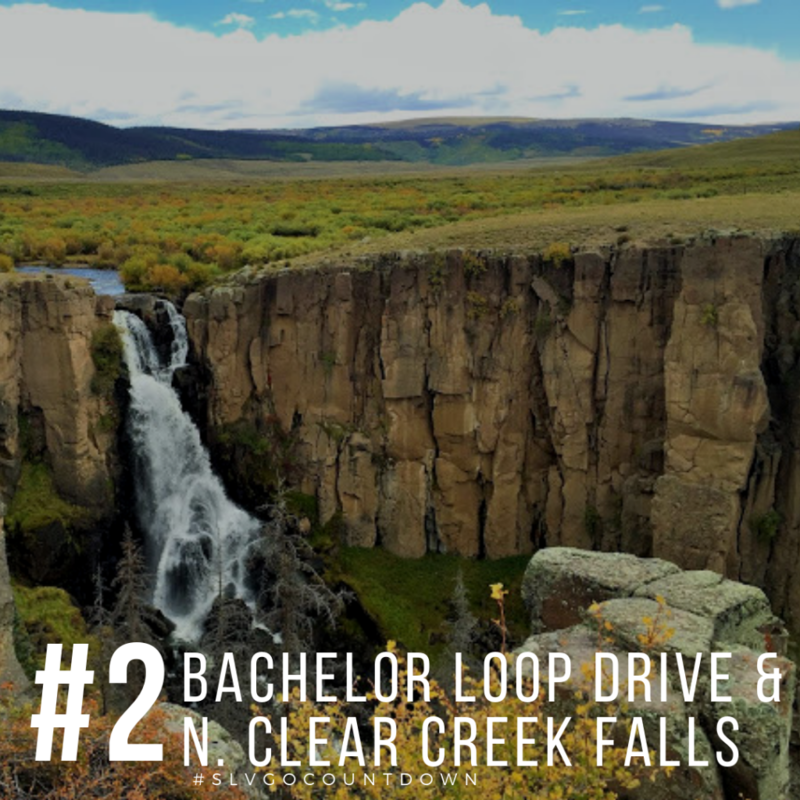 Explore Creede’s scenic wonders and wildlife along the Bachelor Loop, then check out North Clear Creek Falls. Just a short stroll from the the parking area this 100-foot waterfall carved into the landscape is a scenic landmark of the SLV [and a great place for a picnic]. Details: We wrapped up the Summer Countdown with #NationalPublicLandsDay Saturday, September 22nd. From national forests to monuments, over 35% of our state is public land. That’s a lot to appreciate! 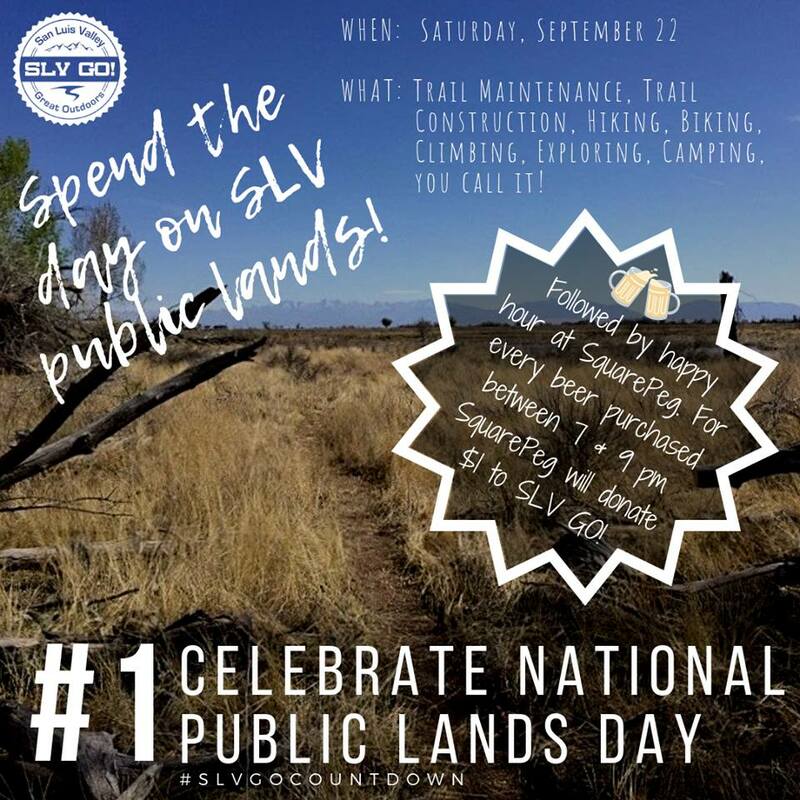 The SLV offers many opportunities to get out in our surrounding public lands and play. Whether you volunteered or explored, thank you for using this day to really appreciate all that our state has to offer. The SLV GO! Board of Directors hosted a Happy Hour at Square Peg Brewerks to celebrate all of our amazing partners, projects, and volunteers. Thanks to the support and generosity of Square Peg, one dollar from every brew sold between 7 and 9 PM was donated to SLV GO! so we can continue to make outdoor recreation in the SLV more accessible and inclusive! Huge thanks to everyone who volunteered!